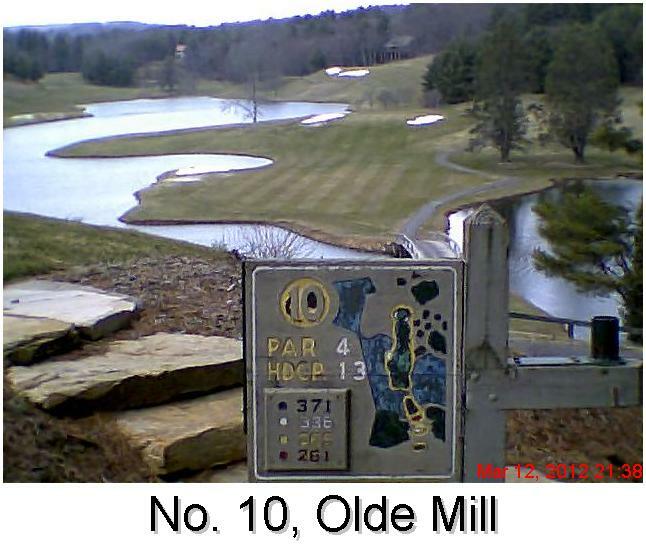 Greens fees: $30, March special, 18 holes with cart; April, $49. Par, yardages: 71, 4,683 (red); 5,467 (gold); 6,412 (white); 7,070 (blue). This installment makes good on a promise to play more golf in the Commonwealth of Virginia. What has turned into an annual March golf vacation started Sunday with a round at Wolf Creek Golf and Country Club, a place I first visited two years back while en route to the Pinehurst area in North Carolina's Sandhills region. Check out Wolf Creek if you're southbound on Interstate 77, heading to better known golf destinations elsewhere. Get off at the Bastian exit, about 15 miles south of the West Virginia-Virginia state line. For me, it's a 360-mile drive to the exit from home. Wolf Creek is a scenic course that's high on playability, low on pretense and price. It's an ideal venue for the first round on a southerly golf swing. I like everything about the place except the cart paths, which are spleen-busting rugged in spots. I made the acquaintance of Olde Mill head golf professional/marketing director Bo Goins last month at the Cleveland Golf Show. The venue looked great in Bo's display and even better when I accessed the website. In person, the place is a knockout and well worth the long-ish ride it takes to get there from the Hillsville-Galax interchange (exit 14) of I-77. At the bottom of the ramp, hang a left on travel east on U.S. 58 (toward Martinsville and Danville). 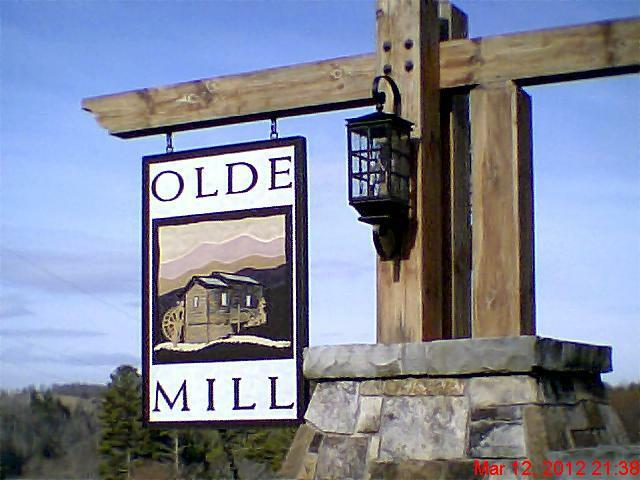 The magazine I used to get directions to Olde Mill, Virginia Golfer, specified staying on 58 east through the town of Hillsville. Not sure why that was recommended, as there is a 58 bypass that carries you around Hillsville. Those same directions correctly indicated a 20-mile jaunt down 58 to Route 645, where you turn right and go about one mile to the main driveway. Proceed up that drive and turn left at the big stone marker to get to the pro shop. The course, designed by Ellis Maples and first opened in 1971, offers spectacular views and stiff challenges to every part of your game. There are many great holes on Olde Mill, but for my money, the par-4 10th is the best of the bunch. Depending on the tee you choose, it plays from 340 yards (white tee) to 424 yards (black tee). From an elevated tee, the hole is framed by a large ake on the left and a smaller lake on the right. The landing area is tight but not ridiculously so. Should you find dry land with the tee ball, the second shot also taxes the nerves. Because of its off-the-beaten track location, I'd recommend that you and your traveling partners book at least one night's lodging at the resort suite hotel just down the driveway from the pro shop. During March, the stay-and-play packages of $100 per person (quad occupancy) include breakfast, lodging and golf. 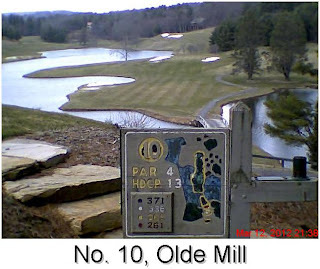 That's a nice price given the quality of the overall experience at Olde Mill. You won't have to leave the resort grounds for lunch or dinner, as there is a highly-regarded lounge and restaurant in the building next to the pro shop. Goins told me he gets plenty of business from the Cleveland and Columbus areas as well as other areas in the upper Midwest. Olde Mill offers great Southern hospitality, too. Every time I've called, it's been Bo answering the phone. , even though there is no marker. It's about 11 or 12 miles due east down the Parkway to Fancy Gap, where you can pick up Rt. 52 or I-77. 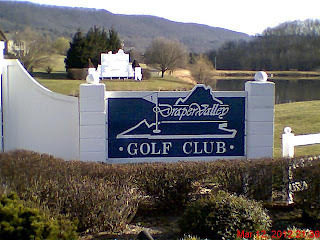 Draper Valley is further north in Virginia, off I-81 east going toward Roanoke. Get off at Exit 86 and follow the signs. Time constraints prevented me from playing there, but the course came highly recommended from local residents Steve and Joe, my playing partners at Wolf Creek. I stopped by for a visit on my way to Olde Mill and made the acquaintance of head professional Adam Nelson. The course looked great and sports a greens fee in the "Affordabili-TEES'' wheelhouse. Hopefully, I can sneak in a round there on the way home.